In Case of Emergency – Do you speak Autism? I was scrolling through my Facebook newsfeed yesterday, when I came across a really interesting post about ‘baby on board’ car signs. Anyway, the point is that I never realised the true purpose of the car signs. Well, according to the Facebook post: in the event of a car accident, they are to tell a first responder that there is a person in the car that is incapable of unbuckling themselves and who requires priority attention. Since my husband works in emergency services I decided to ask him about this. Actually, he was a bit skeptical. His reply was, ‘we are trained to assess each situation. The first thing we would do is look to see who is in the car. 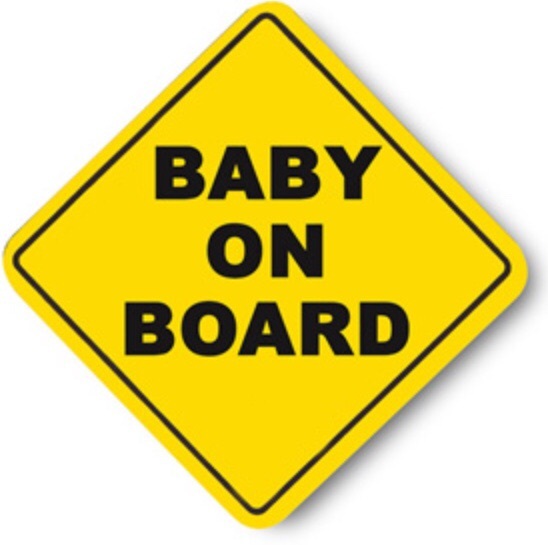 Having a ‘baby on board’ sign doesn’t automatically mean that there is one’. Whether these signs have any merit or not (and I think it’s fair to say, it can’t hurt to have one), it got me thinking. What if, God forbid, I was in a car accident with James in the car? What if I was unconcious and he wasn’t, and I couldn’t explain to people that he was autistic? Because James can walk perfectly well, we are not entitled to a disabled badge for him. (Personally, I think we should be, but that is another post for another day.) So, since James appears at first glance like any normal five year old, in the above situation emergency services would have no idea that my son has a severe communication disorder, difficulties with understanding, and sensory issues. Perhaps then, I need a sign in my car saying ‘Autistic child on board’. I suggested this to my husband and his first reaction wasn’t exactly positive. And I get that. After all, it’s hard enough being stared at in public when James is having a meltdown, without drawing further unwanted attention to ourselves with a great big yellow sign hanging off the dashboard. Autism isn’t well understood by the general public, or even by the emergency services; not least because no two autistic individuals are alike. The ways in which they react to an emergency may vary widely. So, such a sign would need to go into specific detail about the individual. In James’ case, as well as explaining that he is Autistic and what this means generally, it would need to say something along these lines. 1. May become extremely distressed in the presence of large numbers of people. 2. Is unlikely to understand questions or follow instructions. 3. May respond as if he has understood; but this does not mean that he has. 4. Is likely to say words and phrases which may not make sense/ seem out of context to the situation. 5. Will almost certainly become distressed by loud noises (eg sirens or machinery). 6. Will not be easily calmed down by a stranger. 7. Will be unable to tell a first responder if, or where he is in pain. 8. Is likely to be very obstructive at being handled physically; he will not willingly allow any injuries to be examined or be given first aid. 9. Has no sense of danger and is liable to run away if distressed; could easily run into a busy road. 10. May respond to distressing situations in a way that appears inappropriate e.g laughter. 11.May need to be sedated prior to any medical treatment. …And that’s just off the top of my head. If I make one of these signs, I won’t be able to stick in on the rear windshield since I will no longer be able to see out of it. I can’t believe that I have never given this any thought before, and it just goes to show how we take things for granted. I have always assumed I will be there to speak for James, and the idea that I might not be is a sobering thought. For me, it also highlights the real need for emergency services to be given training about autism.. something which is sadly lacking. This entry was posted in Autism, Disability and tagged #ASD, #autism #parent #understanding #autismawareness, #emergency, #firstresponder, #SEN, #specialassistance, #training. Bookmark the permalink.